Dec. 17, 2014, Hubert Bilan. 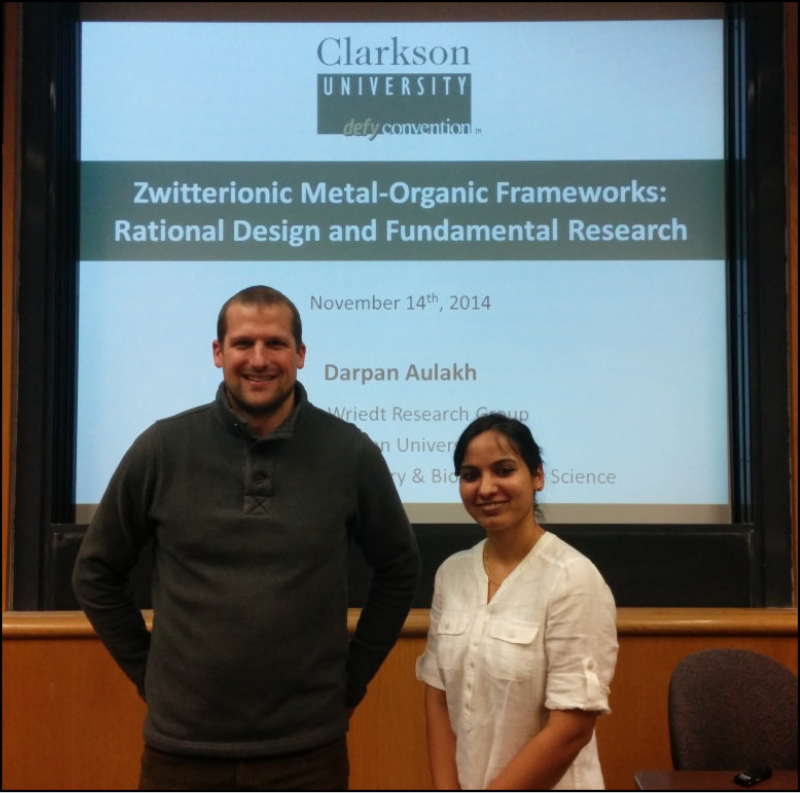 Clarkson University, Nov.14, 2014, Darpan Aulakh and Mario Wriedt. Dr. Charles Campana (Bruker AXS, Madison, WI) visited Clarkson on Oct. 22-24, 2014. He presented a general introduction into X-ray Crystallography within the Department of Chemistry & Biomolecular Seminar Series. The other days he held intense work-shops with focus on problem crystal structure and twin refinements. Thank you very much to Christian and Chuck for their inspiring presentations and lectures! Prof. Dr. Christian Näther (University of Kiel, Germany) visited Clarkson on Sep. 17-25, 2014. 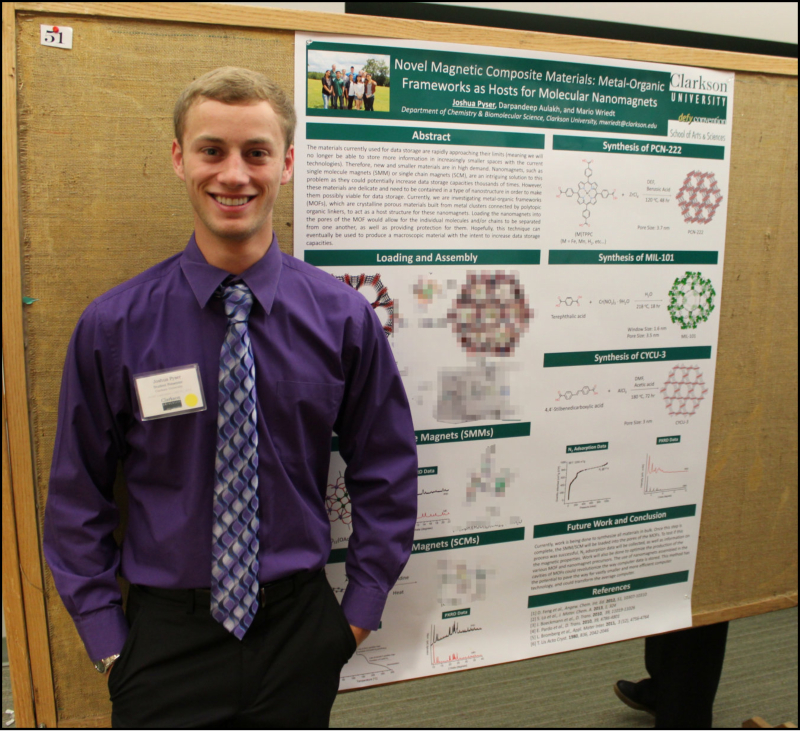 During his stay he presented about his research on drug polymorphism and magnetic coordination polymers at the David A. Walsh ‘67 Arts & Sciences Seminar Series and the Department of Chemistry & Biomolecular Seminar Series respectively. 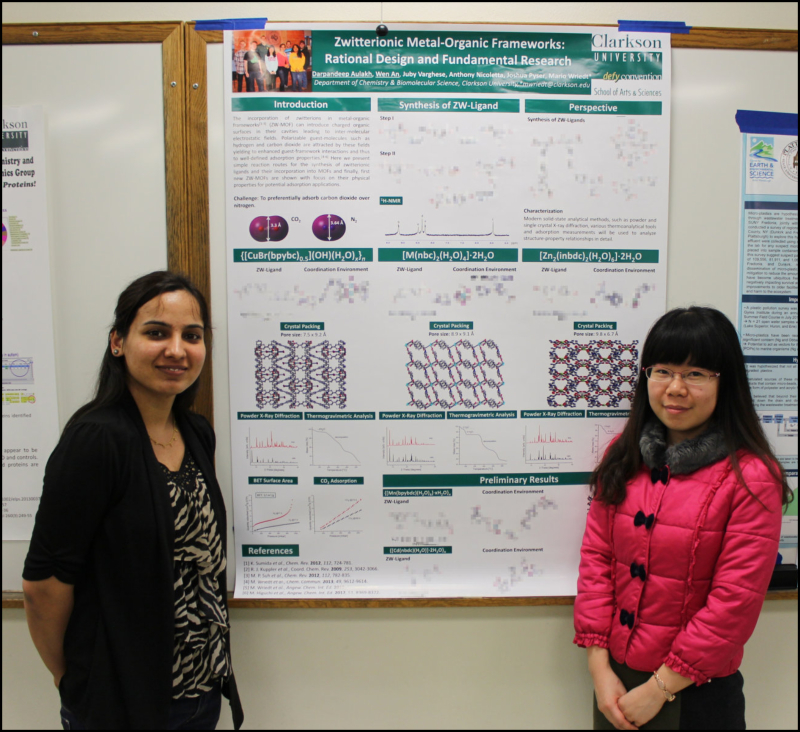 The former seminar was co-sponsored by the American Chemical Society Northern New York Section. 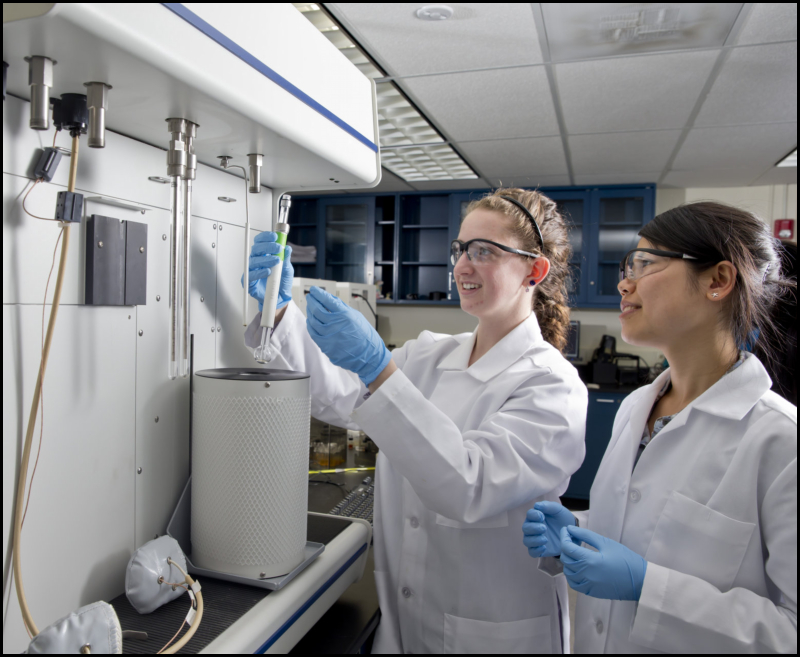 He also held a campus-wide seminar on single crystal and powder X-ray diffraction and a workshop on problem crystal structure refinements. You can find video recordings of his lectures here. 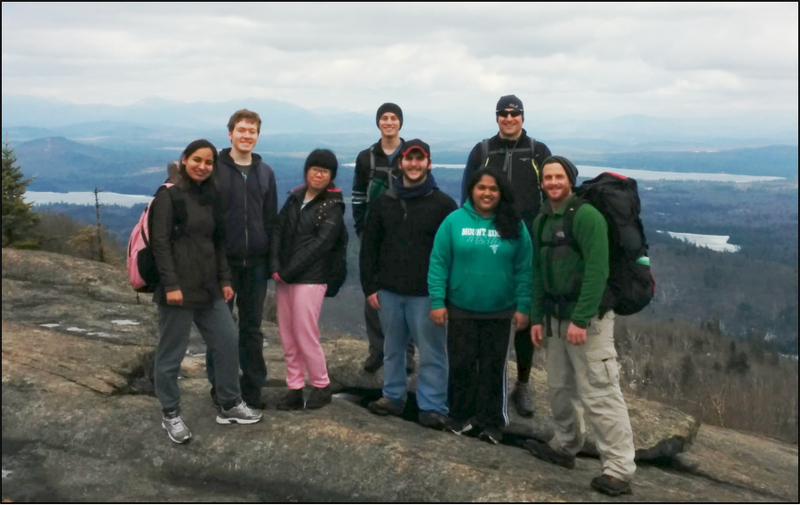 His visit was completed with an exciting 10 hour hike on NY’s highest peak, Mt. Marcy (5,344 ft elevation). 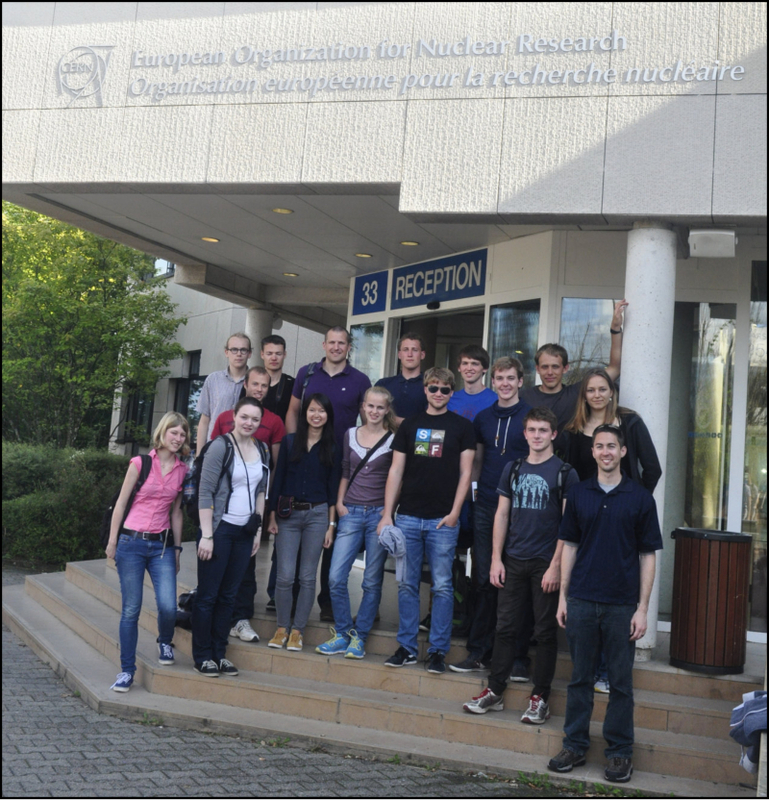 Organizers Dr. Wriedt (third from right) and Dr. Sculley (first from left) and their group of students from the German National Academic Foundation. 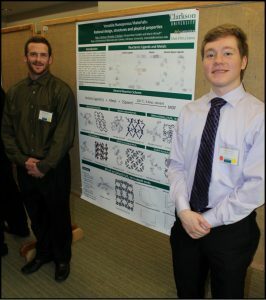 Invited from the German National Academic Foundation, Dr. Wriedt and Dr. Sculley organized a two-week workshop on advanced porous materials and their placement within our energy landscape. 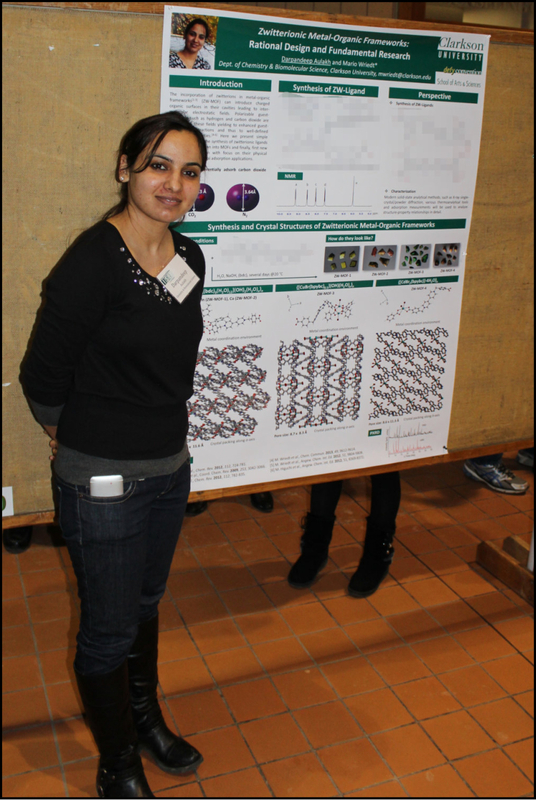 The workshop was held in Leysin, Switzerland from August 10-23, 2014. Their discussions were focused on carbon capture materials and a future hydrogen/methane economy. See a detailed report here, authored by participant Stefan Backes, University of Bonn, Germany. known as CERN, in Geneva. Powder X-ray Diffractometer (Bruker D2 Phaser). 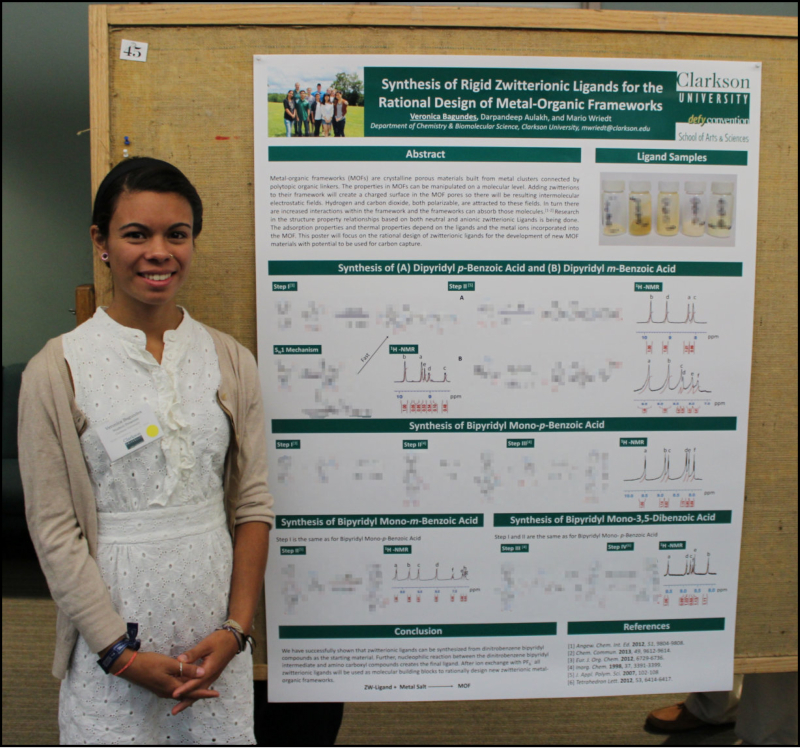 The Wriedt group’s undergraduate researchers attended the 17th Annual Summer Symposium on Undergraduate Research Experiences (SURE) at Clarkson University on July 31, 2014. 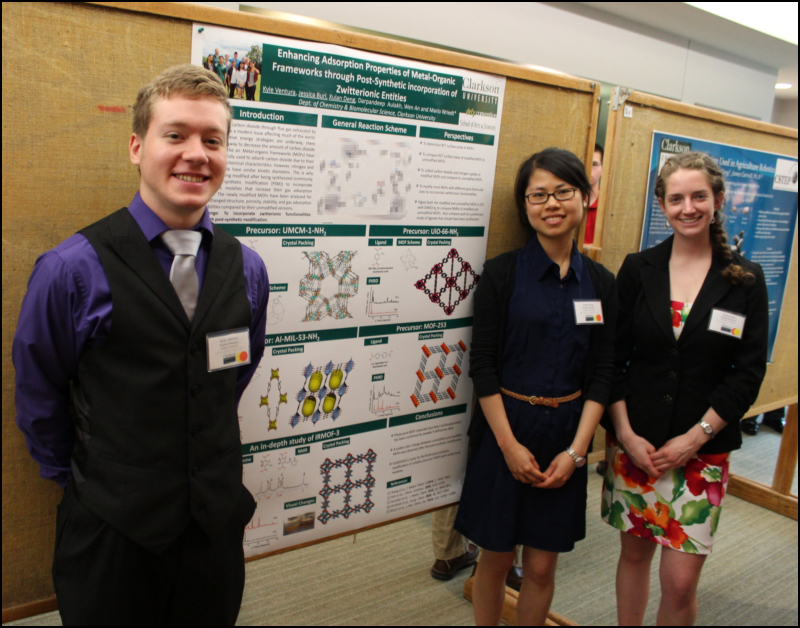 Kyle Ventura, Jessica Burla and Xulan Deng were honorable mentioned for their oral presentation. 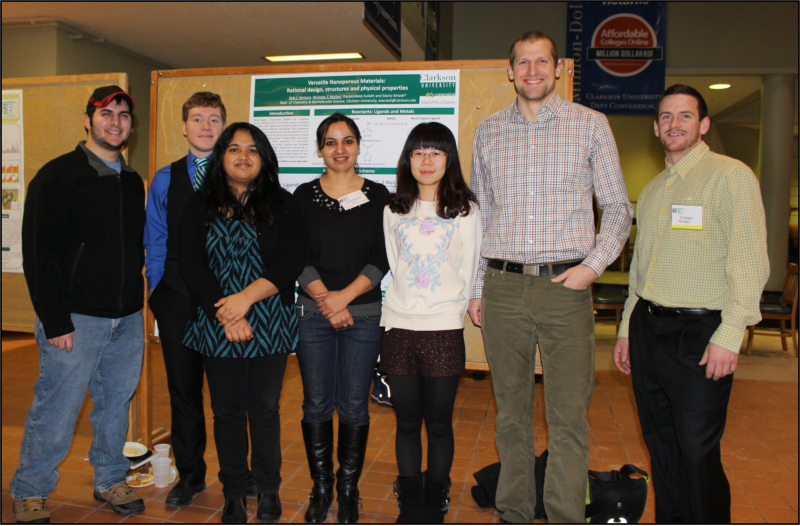 Congrats Kyle, Jess, Xulan, Chris, Julio, Veronica and Josh for your great presentations! Jessica Burl, Xulan Deng, Session Chair Prof.
Sulapha Peethamparan and Kyle Ventura (L to R). Kyle Ventura, Xulan Deng and Jessica Burl (L to R). Christopher Grzymala (L) and Julio Inga (R). Veronica Bagundes. Kyle Ventura, Jessica Burl and Mario Wriedt (L to R). Joshua Pyser. 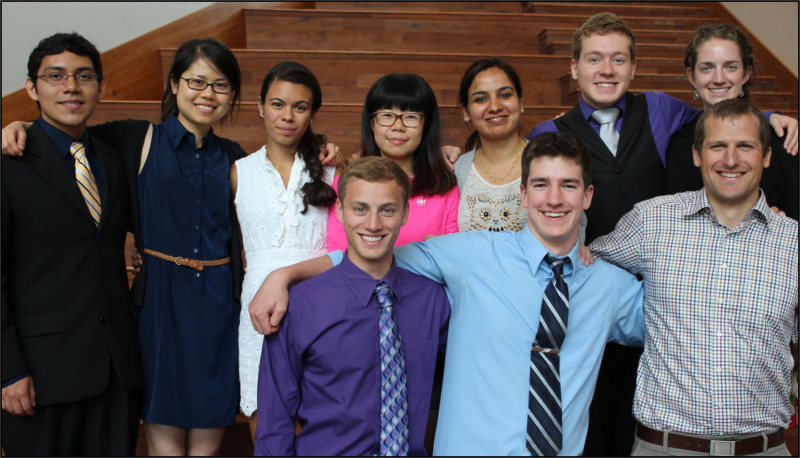 Josh Pyser, Darpan Aulakh, Chris Grzymala, Veronica Bangundes, Wen An, Mario Wriedt, Kyle Ventura and Julio Inga (L to R). 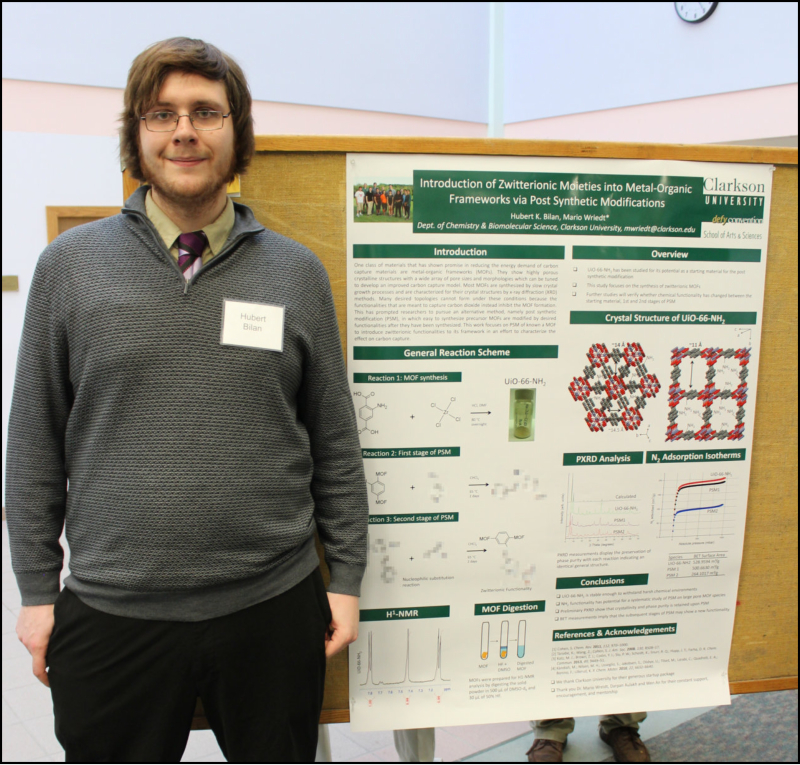 The Wriedt group’s undergraduate researchers attended the 16th Annual Spring Symposium on Undergraduate Research Experiences (SURE) at Clarkson University on April 12, 2014. 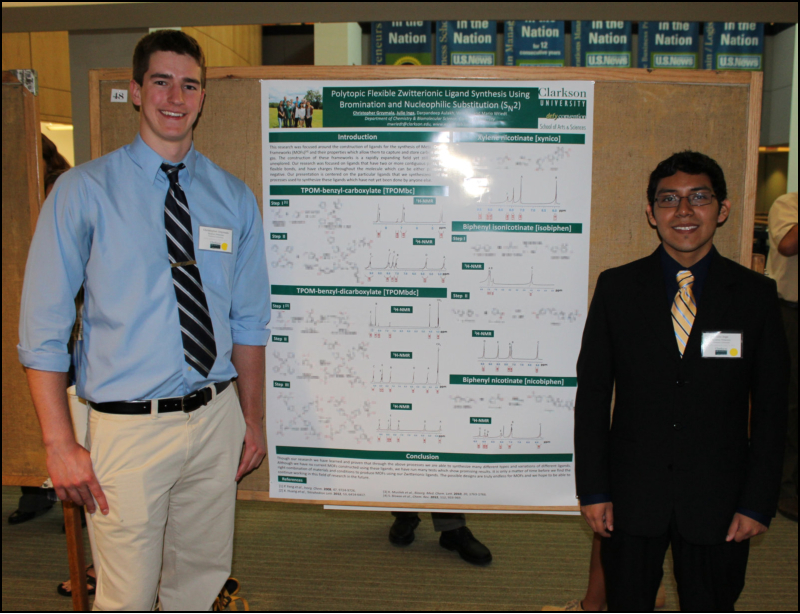 Kyle Ventura was awarded for the best oral presentation in chemistry and Juby Varghese, Anthony Nicoletta and Joshua Pyser were honorable mentioned for their poster presentation in chemistry. Congrats Kyle, Juby, Anthony, Josh and Nick for your great presentations! Professor Devon Ship (L). 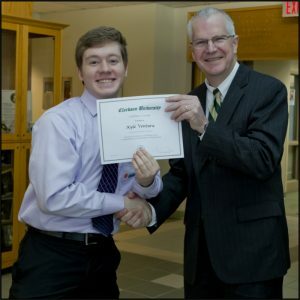 Kyle Ventura (L) and Provost Chuck Thorpe (R). Juby Varghese (L to R). Juby Varghese and Darpan Aulakh (L to R). Group Hike on St. Regis Mountain in Paul Smith, NY. It was a 6 hour hike for the 2,874 ft under partly snowy conditions on Apr. 19, 2014. Darpan Aulakh, Kyle Ventura, Wen An, Josh Pyser, Anthony Nicoletta, Juby Varghese, Mario Wriedt and Nick Multari (L to R). Anthony Nicoletta, Kyle Ventura, Juby Varghese, Darpan Aulakh, Wen An, Mario Wriedt and Nick Multari (L to R). 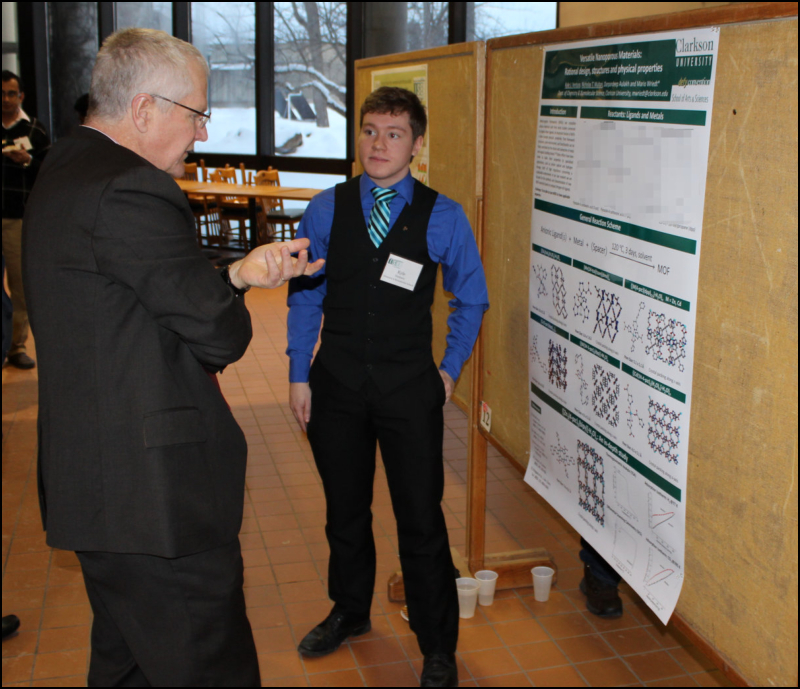 Kyle presents his poster to Provost Chuck Thorpe Darpan and her poster. Christmas Group Party 2013, Kyle Ventura, Nick Multari, Darpan Aulakh, Anja Wriedt and Mario Wriedt (L to R). 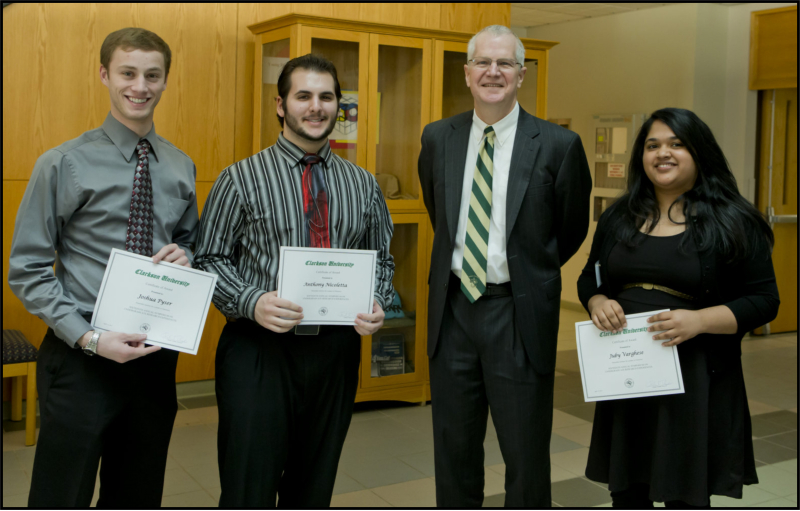 Nick Multari, Kyle Ventura, Darpan Aulakh and Mario Wriedt (L to R).